As if you don’t know it already…..every evening as you turn on the television to watch the news – or as you open the newspaper – you get reminded about how bad the economy is. Everything is getting more and more expensive, yet you don’t receive increases in salary that can keep to keep up with inflation – that’s even if you still have a job. When you look at the balance in your bank account, you just don’t know how you are going to make it until the end of the month. At the same time you don’t know how you can believe any of the politicians anymore. It’s all empty promises and everything seems to be in chaos. Does this sound familiar? Have you ever thought any of these thoughts? Have you ever felt this way? Don’t feel bad, you are not alone. Eliminate Uncertainty As Far As You Possibly Can. Sure, we cannot control everything and we certainly cannot predict the future. But we are not totally helpless. We need to determine what we don’t have control over, what we do have control over and then take control over that what we can control. You have no control over what other people think, so do not become obsessed with other people‘s opinions. It doesn’t matter how you feel about their opinions or what you do or how much you stress about it, you have no control over what they think and you cannot change it. With the greatest respect, even if someone feels depressed, they normally have very dominant depressive thoughts going through their minds. It is good to support such a person in any way you can and encourage and help them to think positive thoughts (your mind can only focus on one thought at a time, so by replacing any negative or depressive thought with a positive thought is the ideal, but it is not always that easy for someone suffering from depression). The point is – if the person suffering from depression stays depressed, don’t start feeling guilty and think that you are a failure. Before long, you might end up with depression yourself. You have no control over that person’s thoughts. It might be that such a person needs to seek the help of a professional counselor who knows how to deal with these situations. You have no control over what other people say. Words are more powerful than what many people realize and therefore it is also a fact that people often say things that can do a lot of damage. But if someone says something, you do not have to take ownership of those words (I’ll come back to this a little later). You cannot take responsibility for what someone else has said. There is nothing you can do to suddenly change the circumstances around you. The economy is the way it is. Crime is a fact of life. The divorce rate is too high. Corruption is a major problem in business (or wherever money is involved). These things are what they are and you cannot wish them away instantly. Let’s Have a Look At What You Do Have Control Over. You have complete control over your own thoughts. For many people this may be hard to believe. They think they can’t help thinking those negative thoughts. “You don’t understand” they say. “I’m in a financial crisis and I cannot help it, but I am constantly thinking about my situation…I just can’t think of anything else”. It’s not about denial or acting as if nothing is wrong. It’s about shifting the focus of your thoughts. Instead of focusing on the problem, shift your focus to the solution. Instead of saying “I can’t afford it”, start saying “what can I do to enable me to afford it?” Instead of saying “I have no money”, start thinking/saying “what can I do to earn some extra money?” Then start working on an action plan to solve whatever problem it is that you are facing. Once you have a plan of action, don’t focus your mind on how you are battling to make every action step work. While taking small action steps as set out in your action plan, focus your mind on the end result and see how it motivates you. You do not have to tolerate any fearful thoughts, because 2 Timothy 1:7 (NIV) says “For the Spirit God gave us does not make us timid, but gives us power, love and self-discipline.” What you think, is a matter of choice. To make the choice will require effort, will-power and discipline, but it remains a matter of choice, your choice. You also have a choice as to how you will respond to what other people say. As mentioned before, you don’t have any control over what other people say, but you do have control over how you are going to respond to it. You do not have to accept it when someone speaks negativity into your life. Do not allow anybody to tell you that you are a failure, or how you won’t succeed and how you can’t be successful in the current economy. God is your source and Philippians 4:19 (NIV) says “…my God will meet all your needs accordingto the riches of his glory in Christ Jesus.” So, go ahead and rely on the economy of heaven and manifest it here on earth. You are no failure, because Romans 8:37 says “… in all these things we are more than conquerors through him who loved us.” So, who are you going to believe; some person who says some bad things about you, your abilities and your future, or are you going to believe what God says about you? It’s your choice, you decide. Another area that will require self-control and discipline are the words that you speak. Many people have the habit of saying things without thinking, and they often regret it later on. Words are incredibly powerful (Proverbs 18:21). It can mean the difference between life and death. How many people have committed suicide due to things that was continuously said to them? Yet, when you speak encouraging words to someone, it brings healing and success. Not only is it important what you say to other people, but your words also have a tremendous impact on yourself. What You Think, Say and Do Today, Will have An Effect on Your Surroundings Tomorrow. There is a well-known saying that says “you are where you are today because of what you did yesterday.” There is much truth in that statement. If you remain focused on how tough things are, how bad the economy is and how little there is that you can do about it, how you never can achieve success – well, guess what your tomorrow is going to be like. Start taking positive action to improve your quality of life today. Start small, but do something positive. Focus on what you can do to improve your own circumstances. Maybe you can start with a savings plan. Start with an exercise program to improve your health. However small it might be, but start doing something that will have a positive impact on your life over a period of time. Looking around you physically, you might find it challenging. But you can decide to start navigating life in a sea of uncertainty. We cannot afford to continue with a “wait and see what happens” attitude. We cannot sit around and wait to see what the politicians are going to do. We cannot wait for the economy to get better. We need to take responsibility and start where it matters most. We need to start with ourselves, and we need to start from where we are. We need to start in our own homes, in our own households and families. If I can start with myself, and take responsibility for what I do with my life, through my actions and my words, and I lead by example, things will start to improve in my own life. If my spouse do the same, and the children start following our example, things will start to change in my household. Together we can start working to maintain peace in our household. We can start planning on how to overcome the bad economy by faith and start taking action. As a family we can start working together to sow back into the community. When my neighbor starts doing the same, and then his neighbor….and so on, we will soon have a prospering neighborhood. Is that wishful thinking? I don’t know. But what I do know is that we cannot wait for somebody else to do something. It starts with the individual. It is our responsibility. And before we start complaining about how bad everything is, maybe we should first ask ourselves what are we doing to make it better? In Matthew 24 Jesus warns us about these times, and He also says that we shouldn’t be troubled but we should be alert and prepared. When Jesus tells me not to be troubled, that means He will take care of me, irrespective of world conditions that I see around me. What is happening in the world around us is no surprise to God. He is still in control, and He has put us here as His ambassadors. Do you feel things are too much for you? Do you think things are getting out of control? Do you fear the future? Or do you feel confident about your future? Are you convinced that God is in control and that through Him we are more than conquerors? 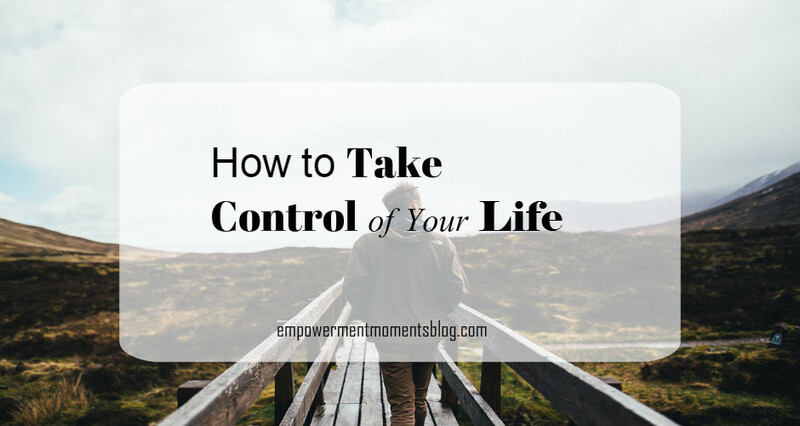 5 Comments on How To Take Control Of Your Life. I had to stop and meditate after reading this one. Trying to control everyone and everything around you says a lot about you. Insecurity, low self-esteem and that fear you talked about are usually the driving force behind it. My friend told me that in life you have to learn how to accept more than you try to change. Then he went on to say what happens to use or what people say about us isn’t our problem, it’s how we respond to it. We have been conditioned out of habit to obsess over things we have no control over. In Christ we can find our serenity. Every since I’ve surrended my will to God as far as trying to control my family, I can see how much happier and content they are. Your comment is liberating and it has added much value. I totally agree with you that what one let control his/her heart and mind says a lot about that individual. There are things that we just cannot change, hence, the area in our lives that we need to let go of. It calls for total surrender to God and allowing Him to have total control. Not that we won’t have challenges or struggles but with God in control life would be better and everyone would be much happier. 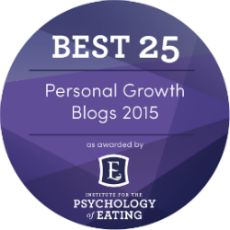 Thanks for taking the time to read this post and giving your input on this topic. As you say, fear is the driving force behind many (if not most) of our problems. Thank you so much for your valuable input and sharing how your family now benifits from your personal decision to surrender your will to God. I think where the defeat comes for so many persons is in the area of his or her thoughts. We become what we think and we cannot change what we fear. We are creatures of habit. Many love to see things before they can believe it. When they cannot see it, then is when worry begin to set in. We have no control over the future, only God does. We simply have to surrender everything to Him and let Him take full control. We have got to learn to trust Him that He would not lead us wrong. Very healthy discussion on what we do have control over. All the points are well taken. If only we can understand the impact what we think, say, do will have on our life both now and in the future. I agree that it is time to take control. It starts with our attitude, our mindset and even the people we associate with. These all have to be positive to enrich us and help us to grow in the grace and knowledge of Christ. It’s a call to action where we totally surrender our lives and letting God have full control. Once He is put in the driver’s seat, we begin to see change and our lives are far better in full control. Thank you so much for this great comment and sharing your views on the topic discussed in this post. I do agree with you, defeat often comes for many of us in the area of our thoughts. We become what we think and we cannot change what we fear. Yet, many of our fears are created by our own thoughts. We end up living in fear of things that doesn’t even happen most of the time. But as you say, if we simply surrender everything to God and let Him take full control, having faith in Him, we will enjoy so much more tranquility and peace in life. All we need to do, is to take control over that that we do have control over in the physical. After we have done what can be done, we should leave the outcome and the future in the hands of God, fully trusting Him, and resting in the knowledge that He loves us and He will take care of us. Secondly, what you say about the people we associate with is also of extreme importance. I recently heard someone saying “show me your friends and I’ll tell you where you’ll be in 5 years time”. Thank you for your support and for sharing, Yvonne.